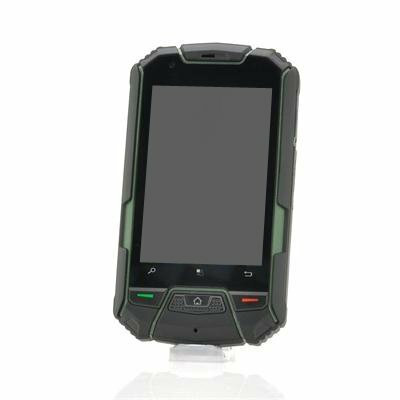 Successfully Added 3.5 Inch Ruggedized Android Dual Core Phone "Buffalo" - 960x640, Waterproof, Shockproof, Dustproof (Green) to your Shopping Cart. 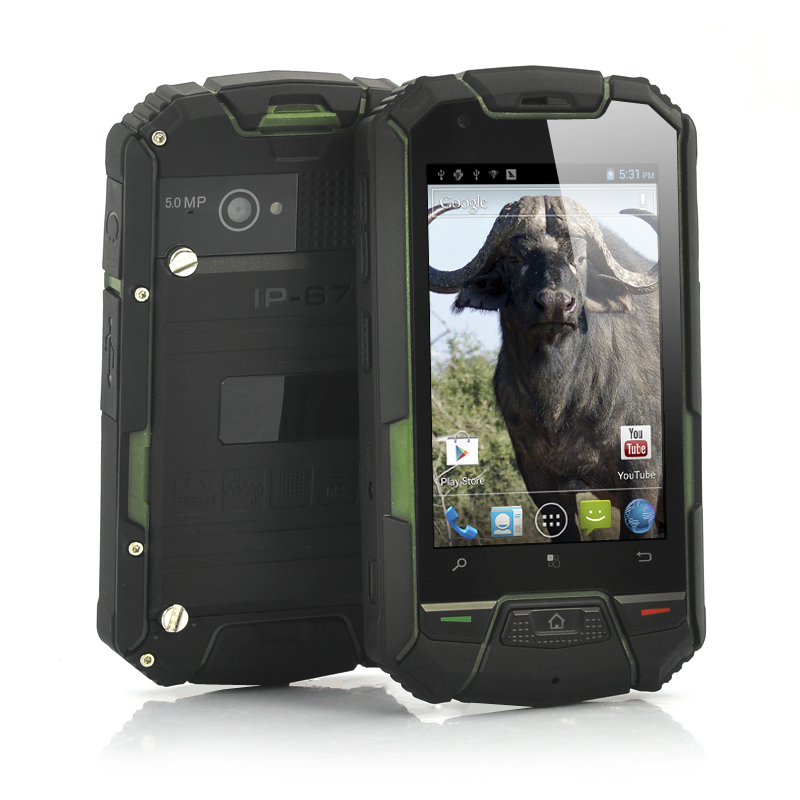 3.5 Inch Ruggedized Android Dual Core Phone has a resolution of 960x640 as well as being Waterproof, Shockproof, Dustproof to guarantee a solid and high performance phone. Go wild at the rodeo with this awesomely priced rugged phone known as the “Buffalo”. Solid and designed to withstand Mother Nature’s finest, this rugged Android phone is the real choice for anyone who is not afraid to be out in the elements. The phone’s 3.5 inch screen with a 960x640 resolution offers a handily sized and clear display as well as a 5 point capacitive touch screen to assist when navigating. Boasting an IP67 waterproof rating, this rugged mobile phone can handle being immersed in up to 1 meter of water for a period of 30 minutes. The “Buffalo” has a pre-installed Android operating system that allows the user to customize the setting of this phone as well as download and install applications for the online Google Play store. Powering the “Bison” is a 1GHz dual core MTK6577 processor that will ensure performance and speed does not let you down, even when running the more demanding applications. Furthermore, the "Buffalo" rugged phone has a built-in safety feature in cases of it being dropped. The “Buffalo” also features GPS, Bluetooth connectivity and WiFi capability to make it a more diverse and useful device.